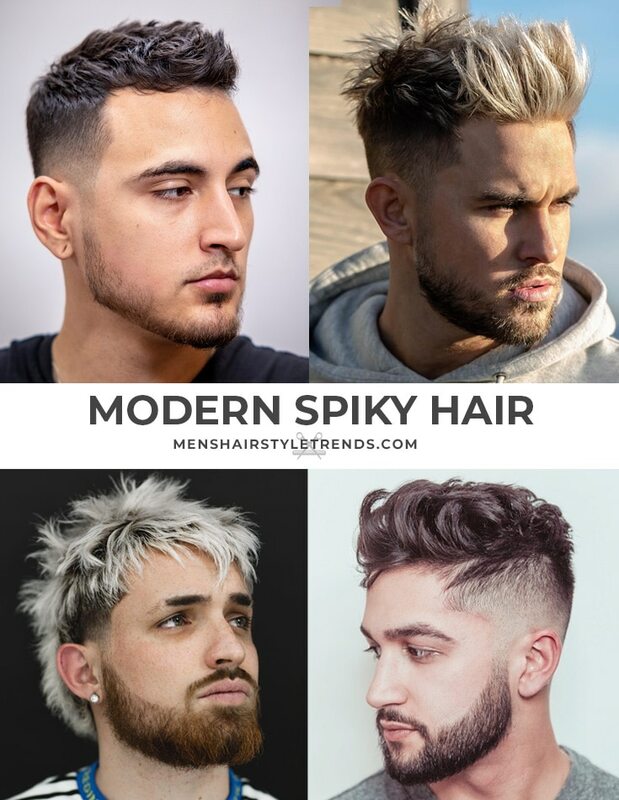 Men’s hair in 2019 is anything but boring. There are hot new styles or add a creative touch to classic looks. From short buzz cuts to medium length, these haircuts have a lot of personality. There’s one for every hair type and style. 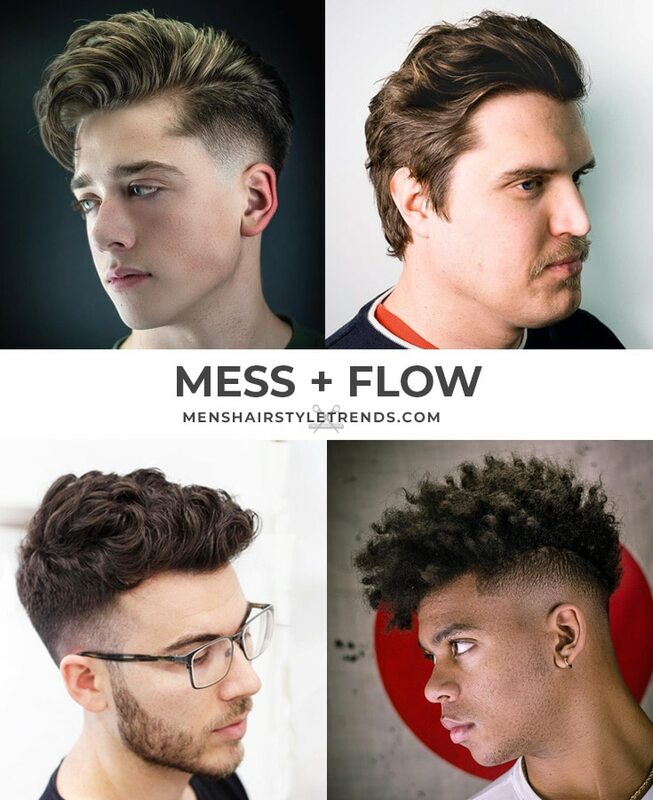 Check out some of the latest men’s hair trends. Once a military haircut, these fresh buzz cuts would not pass inspection. Try a jagged edge to add contrast to short hair all over. The buzz cut-line up-fade is a classic and stylish cut. Add a shaved line and a touch to texture on top to make the look your own. A fade adds a polished finish to any haircut, especially a short buzz. Take it to then next level by wearing hair a little longer on top and styled messy. Last but not least, hair color for men transforms any cut, whether it is platinum blonde or a bold primary color. The crop was a strong trend last year that is still going strong and getting even more creative. This trendy short haircut always combines texture on top, some type of fringe, and a fade. The similarities stop there. The box crop features a blunt cut fringe that defines a straight line across the forehead. Longer hair on top can be styled with messy texture or a touch of definition. The textured crop can enhance texture for straight hair or make the most of wavy or curly hair. Wavy hair just needs a touch of product for definition and hold. A line up under curly fringe provides an unexpected contrast. All kinds of textured styling was popular last year and is going even farther in 2019. 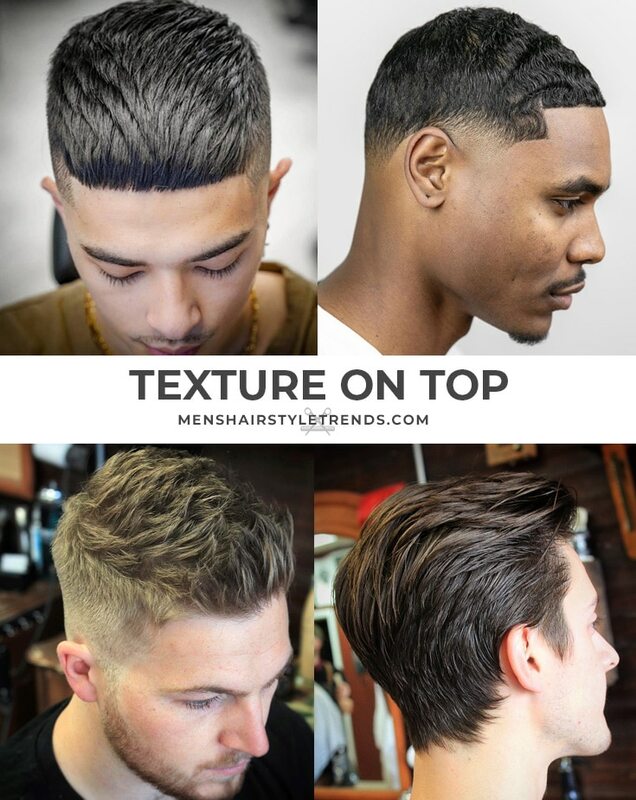 Texture on top can be highly stylized or incorporate natural texture, like a waves haircut. Messy texture is also back in style, in the form of tousled spikes and bedhead-inspired styles. Longer taper haircuts can get the look with a gel or wax product and combing hair with figures. For medium length cuts, hairstyles are getting longer and looser. This elevated form of bedhead works is all about enhancing the natural flow of hair. Rather than controlling hair with a strong product, use a medium strength pomade to hold hair where it wants to go. This cool look works well for thick and textured hair types but can also be used to beef up fine or thin hair. Textured styling and the messy look converge in these modern ways to wear spiky hair. Cuts can be short, medium length, or even a mullet. Spikes can be textured, messy, or in thick sections. Play with different styles to find your own signature look. Men’s hair keeps getting more creative and exciting. Whether you want a bold new hairstyle or an unexpected detail, these looks will get you noticed. Take the textured crop to the next level with jagged fringe and almost white hair color. Next up is curly mohawk with a bold V-shaped neckline. If that’s too much, try adding shaved lines for a subtle but effective neckline hair design. 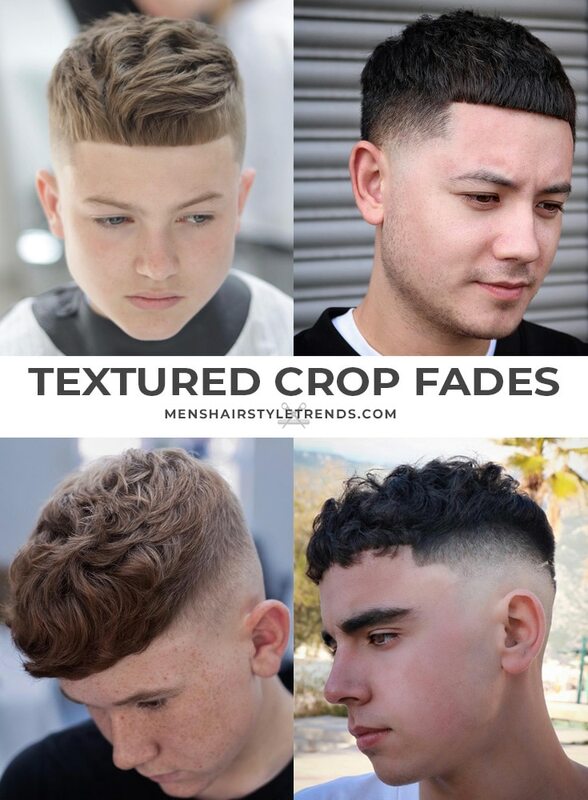 Or trade in a blurry fade for a defined line. 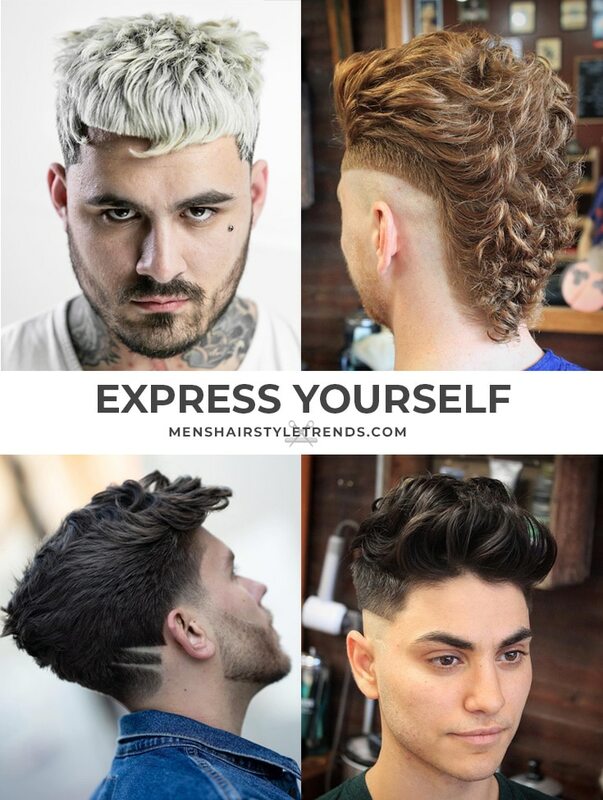 There are so many ways to get a unique men’s hairstyle. 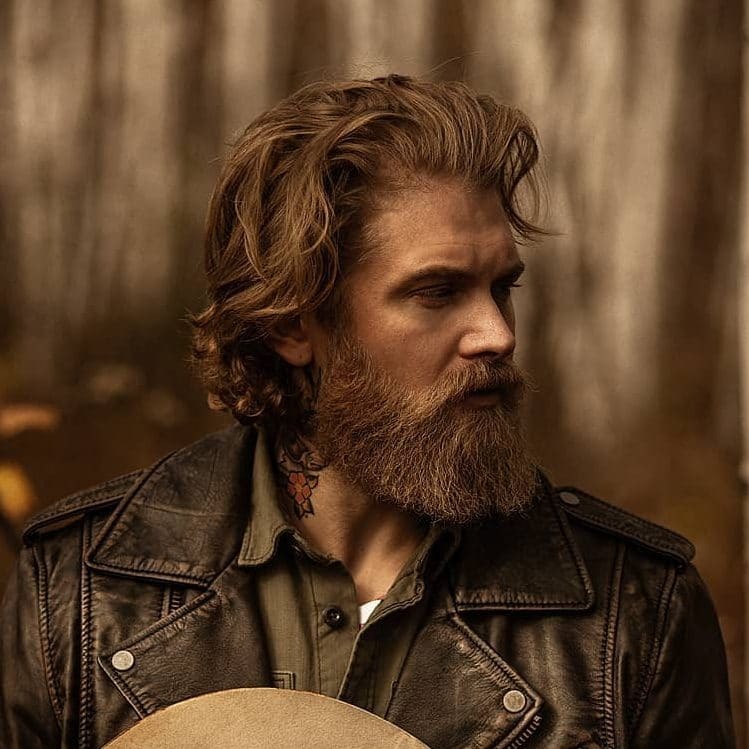 It’s almost news when model Josh Mario John, known for his long hair, full beard, and tattoos, cuts his hair. In addition to man buns and long locks, chin length cuts will be a popular look in 2019. This length makes it easier to wear hair down but can also be pulled up. Like hair of all other lengths, natural and textured styling makes the most of the man bob.